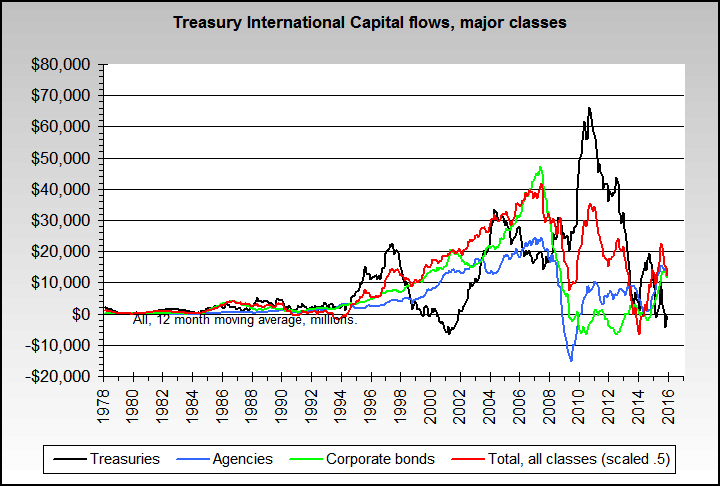 US Treasury has just released August data about long term US Treasury securities net purchases by foreign countries. This is for us a major indicator for their confidence in the status of the dollar or their support of the current international monetary system. The Adjusted Total was -10,762 million US$, including a subtotal for Foreign Official Institutions which is -10,860 million US$. Conclusion: A strong net lack of confidence by central banks, and a zero net purchase by big investors. Who were the top 20 selling countries for Long-Term UST this month ? Euro Area is the top seller, and interestingly this month with the addition of Mexico and Caribbean countries. With the exception of Uruguay and Colombia, all Latin America countries are net sellers. Who were the top 20 buying countries for Long-Term UST this month ? Surprisingly, part of BRICS and part of Eurozone have bought Long term UST, in addition to the US usual financial allies. Could this be in order to avoid a much too rapid collapse of UST foreign buying ? Did JPM ask knowledgeable investors or baboons ?